Round seven of the 2017 Nitro Lubricants, AMA Championship Snow Bike Series landed in scenic, Diamond Lake, Oregon, 90 miles south of Bend and 75 miles east of Roseburg, right in the heart of the Cascades. Temps were moderate, but the sky spit snow most of the day and there was plenty of the white stuff to work with. History was made as this was Oregon’s first-ever snow bike race and a boisterous crowd of just over 400 showed up to cheer the riders on. 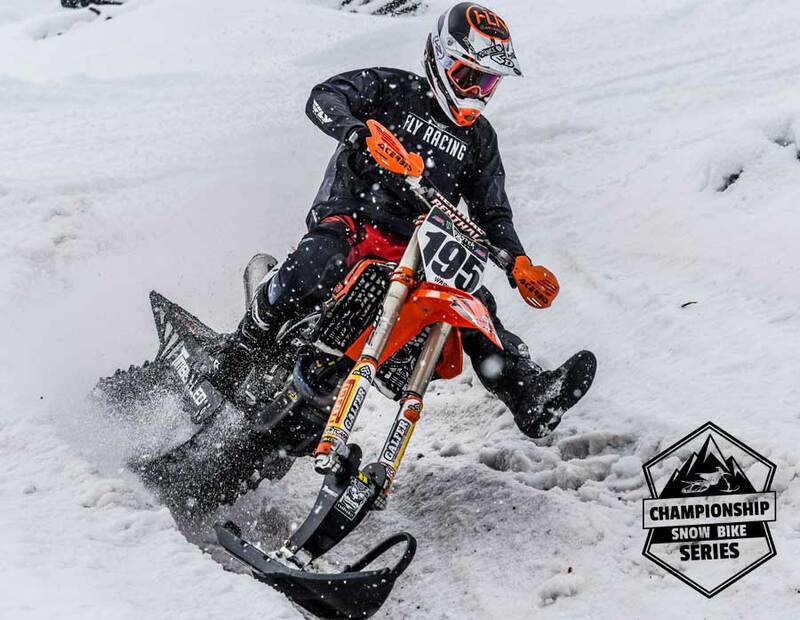 Bozeman, Montana rider Keaton Ward, a former AMA pro motocrosser, pushed his KTM Timbersled hard all day and rode fast and smooth to take the coveted A Main win and remain in the hunt to capture the first AMA National Snow Bike Championship Title. The beautiful Diamond Lake Resort, set high in the Cascades, was the setting for Oregon’s first snow bike race and it worked well, with plenty of snow (even after some recent heavy rains). The race track was a mostly twisting, 4/10th mile track which had the pro men cutting 40 second laps. The sport of snow bike racing continues to grow and bring in new racers, and the fields are getting faster every weekend. Jimmy Jarrett rode his usual, fast, smooth self to take second behind Keaton Ward, with rising star Idaho rider Brady Lasher grabbing a well-deserved third and Oregon’s Kevin Rookstool rode a smart, fast race to take fourth, with endurocross pro Cory Graffunder winding up fifth, and Washington’s Rory Sullivan taking sixth. Oregon’s Darrin Mees had some bike problems in the main but was credited with seventh and newcomer, first-time racer, retired AMA pro motocrosser Devin Watson showing great future promise with an 8th in the A Main. Yamaha Camso pro Cody Thomsen was leading the national points heading into the Oregon race, but suffered some bad luck in qualifying, and failed to make the A Main. He still has a shot at the men’s title, but he will have to ride great at the last round to get it done. As predicted, the women’s class continues to grow and a solid turnout of six fast women lined up to go fast, even though Oregon riders Cyd Reinen and Krystal Watson had never raced before. As is so often the case, Idaho’s Shayla Fulfer and South Dakota’s Shayna Lier went at it again, with Fulfer having a great day, winning both motos over Lier, and Fulfer’s sister Kapri showing increasing speed as well, taking a solid third. The Senior, 40+ class showcased a great duel between Oregon’s Patrick Trowbridge and Montana’s Jason Weis. The 8th and final round of the 2017 Mitro Lubricants AMA Championship Snow Bike Series will be held at the Bogus Basin Ski Resort, 16 miles north of Boise, Idaho on April 8, 2017 on a half-mile, twisty supercross style track right next to the Pioneer Lodge in the middle of the resort. The series partners are: Nitro Lubricants, Moto Trax, Camso, Arctiva Clothing, Fox Suspension, Snomoto.com, Timbersled, CMX, Cyclops, Pro-Moto Billet, Snow Tech MX, HMK, and Excel Fabrication and Fresh Moto who created the beautiful custom trophies, and local partners were: Cascade Powersports in Bend, and Cycle Buy in Albany who provided demo rides on Timbersled Snowbikes. Special thanks to John Jonesbury and the staff at the Diamond Lake Resort who spent many hours making sure that the event would run smoothly at this year’s race and hopefully for years to come. 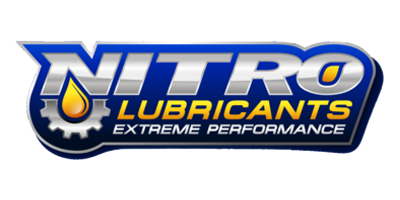 The series partners are: Nitro Lubricants, Moto Trax, Camso, Arctiva Clothing, Fox Suspension, Snomoto.com, Timbersled, CMX, Cyclops, Pro-Moto Billet, Snow Tech MX, HMK, Rekluse, and Excel Fabrication, and Fresh Moto who create the custom event trophies for each event. Place:6 Name:Rory Sullivan #272 Hometown:White Salmon, WA Riding:KAW, Timbersled Sponsors:Power Motorsports, Timbersled, Bell Helmets, Fly Racing, Von Zipper, TCX Boots, Fasst Co, FMF, Evo Inc.
We want to help you get involved with the NASBA Snow Bike Series. If you have questions, we have answers. Whether you want to be a racer, sponsor, or just get some information, we’re here to help. We are searching for the fastest riders, weekend warriors and couch riders, to be a part of the NASBA Snow Bike Series family. Want the latest race results, indepth rider interviews, industry news, our social is legit.